With over one million 3D printing models on Thingiverse alone, the choice of 3D printing ideas has never been so large. Unfortunately many of the STL files available are low quality, and would never make your 3D printer project list. So how do you find the hidden gems? Well I have spent hours searching for you, to discover the best 3D printing ideas in the world today. So switch on your desktop 3D printer, and prepare to impress your family and friends with my top twenty 3D printer projects. 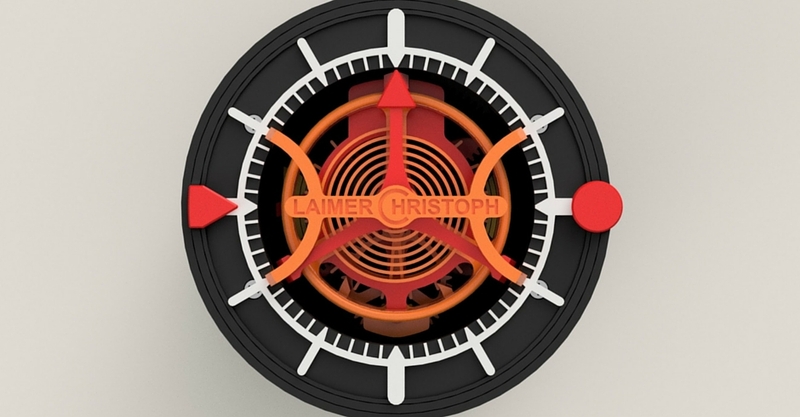 Designed by Christoph Laimer from Switzerland, the 3D printed watch is a triumph for desktop 3D printing, and should be shortlisted for your next 3D printer project. After winding, the watch can run for 30 minutes, keeping accuracy to within plus/minus one second per minute. Not as accurate as a real watch but still very impressive. Given the precision of the parts, the print is quite challenging. There are also some non printed components required. The printing and assembly instructions are thorough however, and the rewards for completing this project speak for themselves. 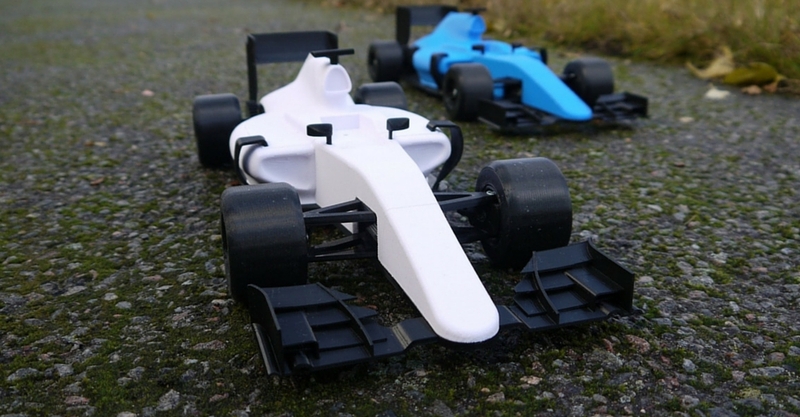 Designed by Daniel Noree, a self proclaimed 3D printing addict from Sweden, the 3D printed formula 1 car is my current 3D printer project. 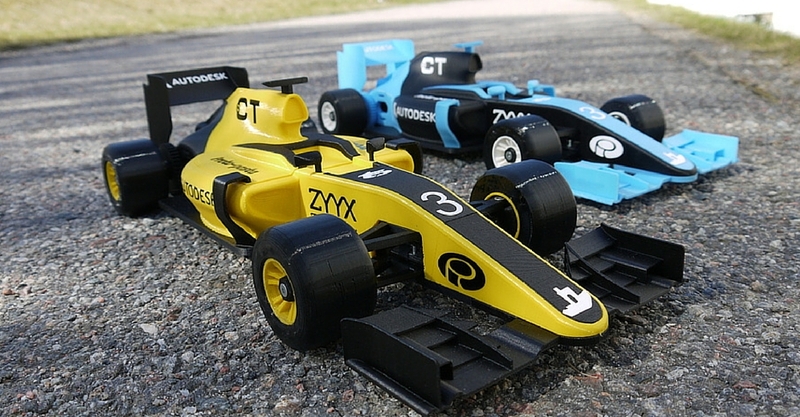 If you like radio controlled models, then this is the 3D printing idea for you. With the correct electronics installed, this 3D printing model can actually be driven. I am still half way through building mine, although the printing is complete and so far everything has been simple. There are a number of non printed components required but they are easy to find and buy. The STL files come complete with detailed printing and assembly instructions. In addition to this, there is a components list and recommendations on where to purchase. One of LayerTrove’s top organic 3D printing models, the 3D printed Hulk was created by our in house designer, Bridgette Orozco. 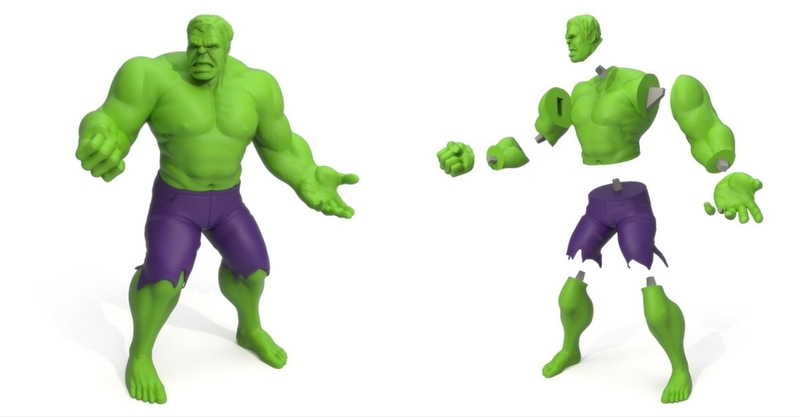 Part of a collection of Marvel 3D printing ideas, the 3D printed Hulk has been fully optimised for desktop 3D printing and requires no support material. Simple to print and great fun to assemble, this 3D printer project stands at over 300mm tall and looks incredible. 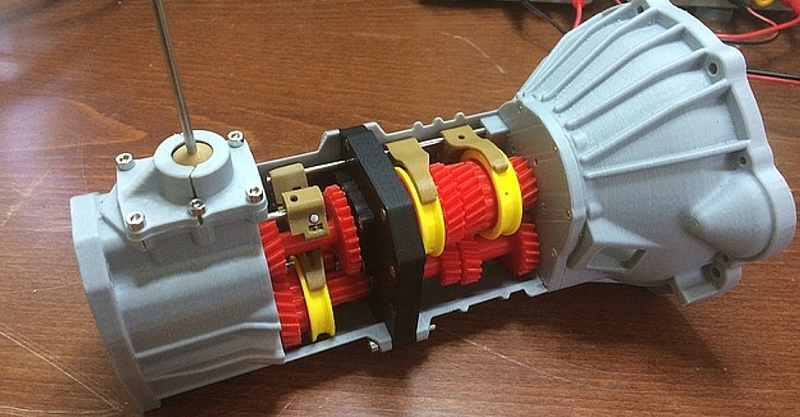 Aerospace engineer, Emmett Lalish from Seattle, designed my next 3D printing idea; the 3D printed automatic transmission. This must be the most downloaded 3D printing model in the world, with nearly 550,000 views on Thingiverse. With six forward speeds and one reverse, you will enjoy assembling and playing with this 3D printing model. It is also useful as a teaching aid. The printing and assembly instructions are clear, and there are no non printed components needed. 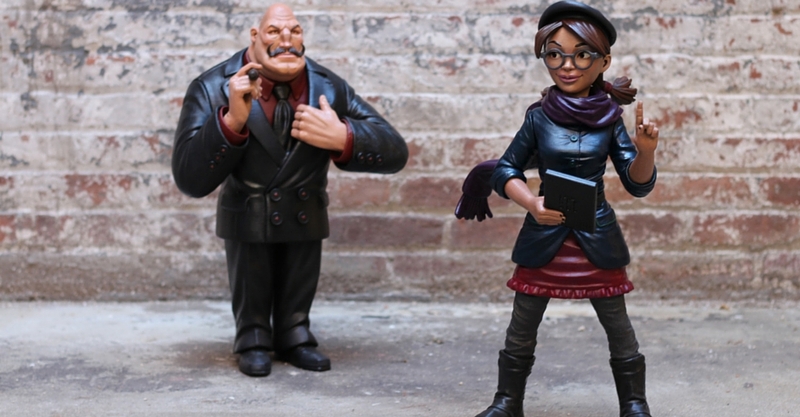 Created by Bold Machines, an independent product development workshop born out of Stratasys, the 3D printed Margo was originally intended to be a character in a movie. Designed by the well known Jose Alves da Silva, this was the first of the organic 3D printing models to be really optimised for desktop 3D printing. I printed mine at 200% scale and everything was simple and perfect. When a professional designer optimises a model for desktop 3D printing, the results can be fantastic. If you like organic models, then this is one of the best 3D printing ideas out there. Designed by Sebastian Varandela from Argentina, the 3D printed steam engine is part of a collection of five 3D printing ideas. All of these 3D printing models have been carefully optimised for desktop 3D printing, and have been tested multiple times to ensure a perfect print. Designed by Makerbot themselves, the 3D printed Endeavour is part of a collection of five 3D printing ideas. 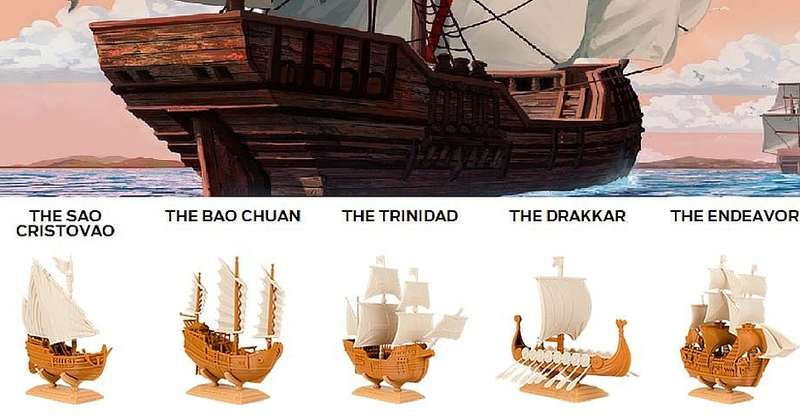 I have printed a few of these 3D printing models but Captain James Cook’s ship is my favourite. You will find that it has been carefully designed and even assembles without the need for glue. It also looks awesome if done in the right colours. Print one and you will probably add the other four to your 3D printer projects list. 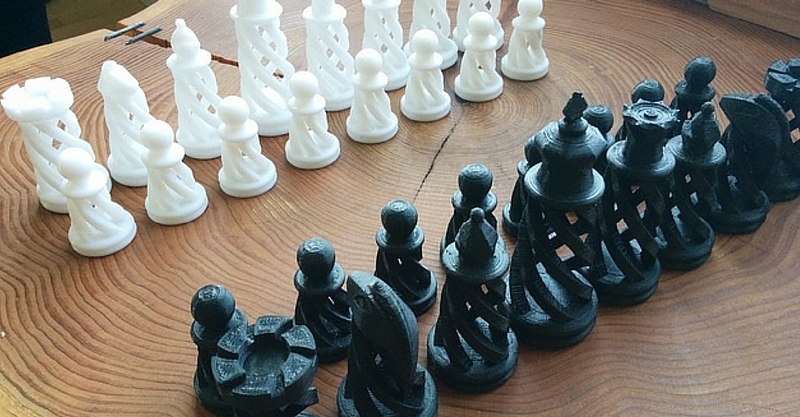 Designed by Vancouver based Joey Muirhead, the 3D printed spiral chess set is a great example of the benefits of an additive manufacturing process. A traditional subtractive manufacturing process would struggle to produce these hollow shapes. Solid shapes use more material and as a result, weigh more. This is why aircraft components are developed using 3D printing. To make them lighter. A time consuming yet simple 3D printer project, the elegant results look really professional. 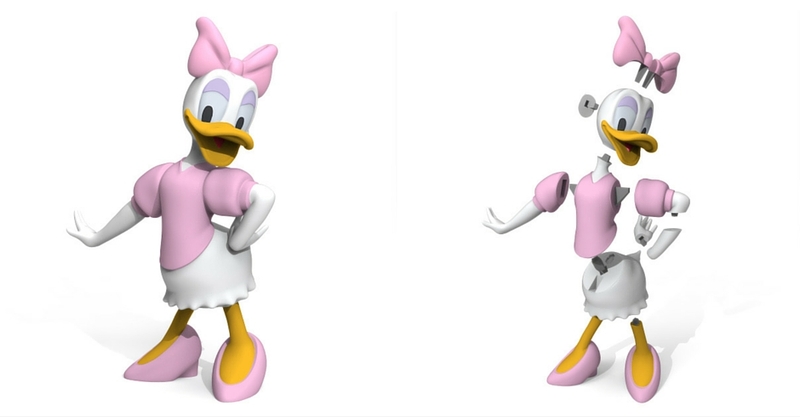 Another organic 3D printing model from LayerTrove’s in house designer, Bridgette Orozco; the 3D printed Daisy Duck. The rest of the sensational six are still under development but Daisy is optimised, support free and ready to print. These Disney 3D printer projects are great to get children interested in 3D printing. A lot of time and effort has clearly gone into designing my next 3D printing idea. 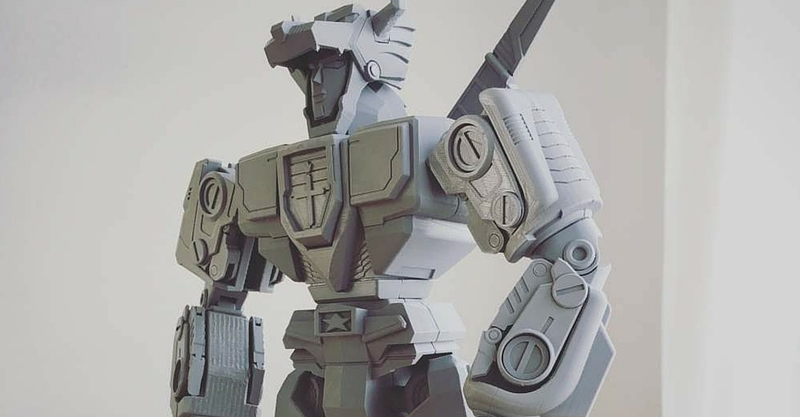 Hats off to Jurica Pranjic from Switzerland, for the excellent 3D printed Voltron. It took him two months of work to complete! There are some nice exploded diagrams to help you with the assembly, but expect a challenging build. You will also need approximately 1.5kg of PLA, to complete this 3D printer project. Worth every gram for this defender of the universe. 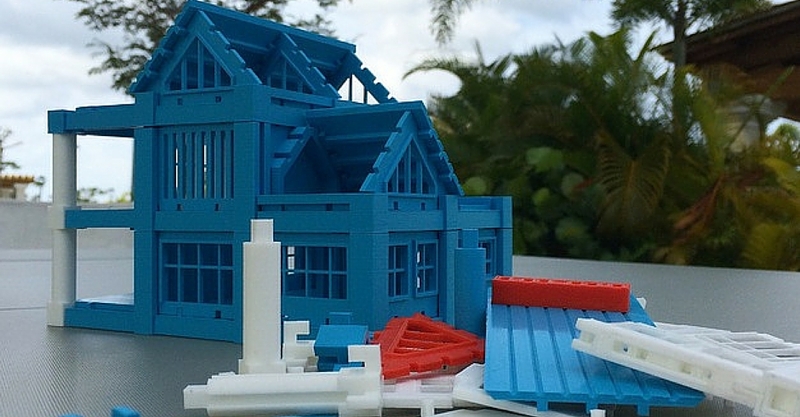 If you are interested in architecture, then you will love this 3D printing idea. All of the parts print without the need for supports, and lock together in a modular fashion to create the building of your choice. This wonderful 3D printed architectural kit was designed by Teinye Horsfall from the United Kingdom, and works brilliantly as a teaching aid. 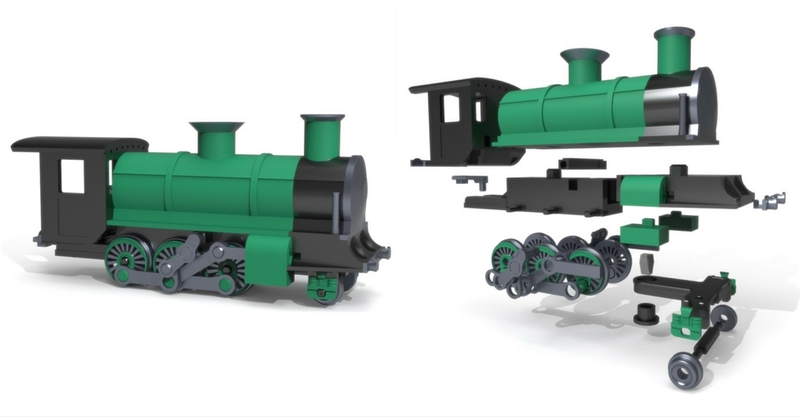 The only improvement I would suggest for this model, is to separate the parts into individual files to help out those of you with smaller build plates. Still, an excellent 3D printer project. Consisting of nearly 70 parts, and with no less than 15 points of articulation. This is one seriously cool 3D printing idea. 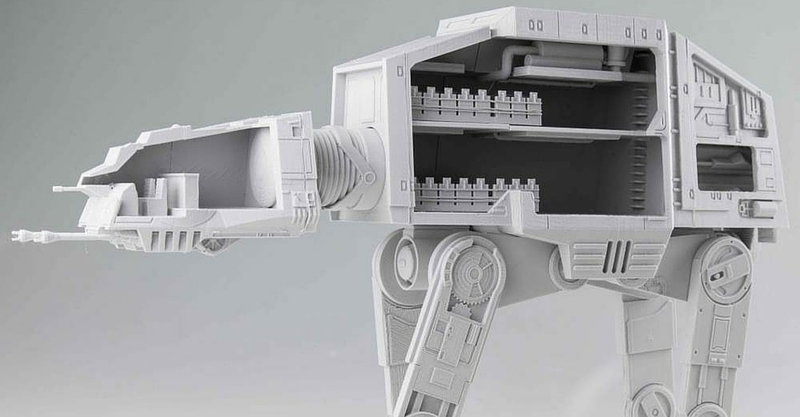 The 3D printed AT-AT Walker is incredibly detailed, both on the exterior and the interior. Designed by Kirby Downey from South Africa. Kirby has a large collection of 3D printing models displayed at My Mini Factory. There are some detailed images and also an excellent video to help you with printing and assembly. Let’s face it, who doesn’t love Star Wars. 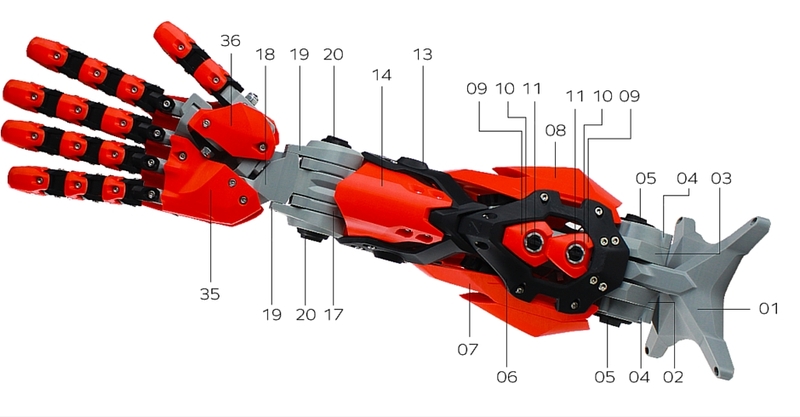 Developed as a technical showcase by Zortrax, the 3D printed modular arm attempts to replicate a human arm. Perfect as an educational tool, the wrist and fingers move in a similar way to your own. 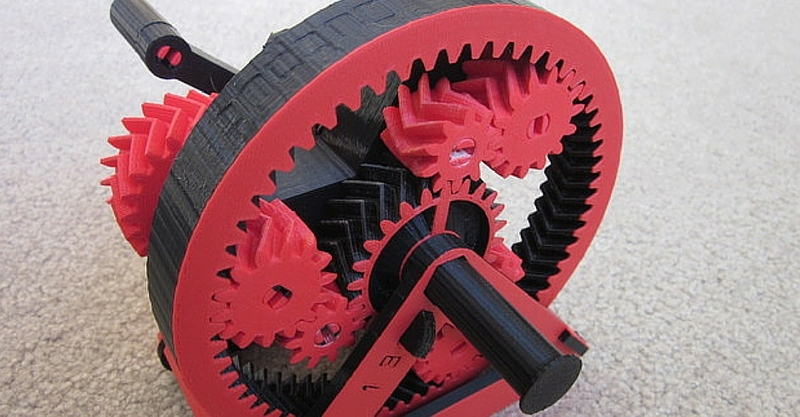 This 3D printing idea requires over 200 hours of printing and nearly 1.5kg of filament. The assembly instructions are detailed, however you will need to buy a set of screws. Not the simplest 3D printer project but a lot of fun to print and assemble. Because Zortrax developed this 3D printing model to show off its 3D printers, you know the quality of the design is going to be good too. Ok, so this 3D printing idea is mega and definitely not for the faint hearted. The 3D printed transmission is part of a collection of mechanical 3D printing models, designed by Eric Harrell from Santa Cruz. He has two car engine 3D printing models in addition to some other components, all available to download at Thingiverse. This must be one of the most complex 3D printer projects in the world today, and you will need to be patient if you attempt it. The instructions are detailed and Eric is on hand to answer any questions. The 3D printing community owe Eric a huge thank you for sharing such an incredible piece of work. From very complex to very simple. The 3D printed marble machine, designed by Tulio Laanen from the Netherlands, is a fun and simple 3D printing idea. Detailed instructions, including videos and lots of comments and makes by the community, will make this 3D printer project a breeze. If you want to get your children interested in 3D printing, then this is the 3D printer model for you. Another 3D printing model by Sebastian Varandela from Argentina. The 3D printed saturn V rocket took months to optimise for desktop 3D printing. 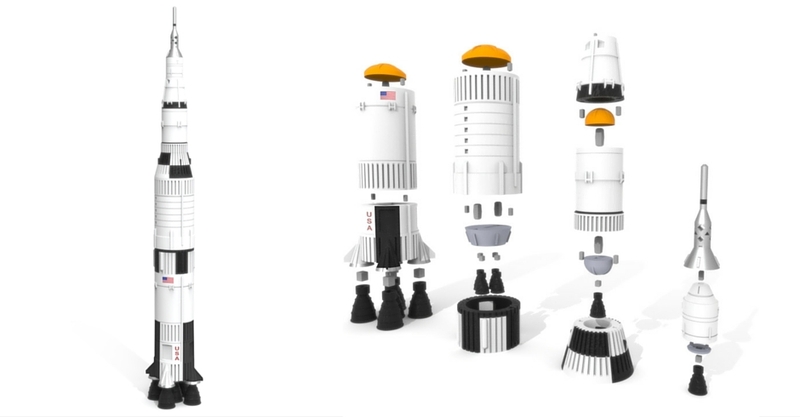 Based on a shop bought model, which would normally cost $400 to buy, this 3D printing idea is very detailed and separates just like the real life rocket. The print and build are very simple, with none of the parts requiring supports. There are also two Space Shuttles in the collection, if you are looking for additional 3D printer projects. Another radio controlled 3D printing model, this time for the skies. Designed by Ed Tumbusch, this 3D printing idea has been made by no less than 55 people on Thingiverse. 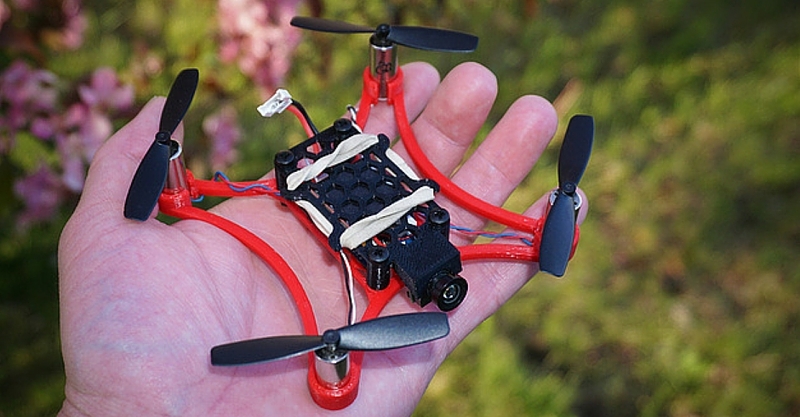 The 3D printed micro quadcopter is accompanied by very detailed building instructions, and tips on where to buy all the non printed components. As you can see from the image, you can even install a video camera. There is also a large community discussion, covering all the questions you may have, should you attempt this 3D printer project. I am still building Daniel Noree’s awesome 3D printed formula 1 car, but this micro quadcopter is definitely going on my list. I wanted to include this 3D printing idea on my list because of its significance, and potential impact on the way we generate energy. There have been recent studies to show that a vertical wind turbine is actually more efficient than the traditional horizontal version. 3D printing could be a great way to test this theory. 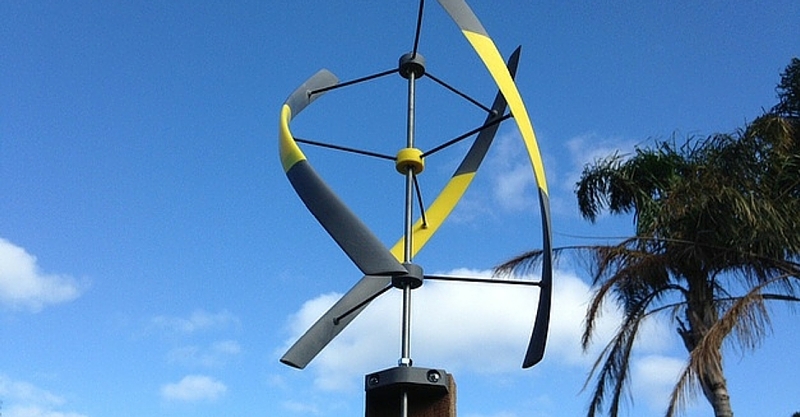 This 3D printed vertical windmill was designed by Michael Broderick from Australia. Printing and assembly instructions are detailed, and Michael seems keen to develop this concept further. It would be great for you to get involved with this particular 3D printer project. 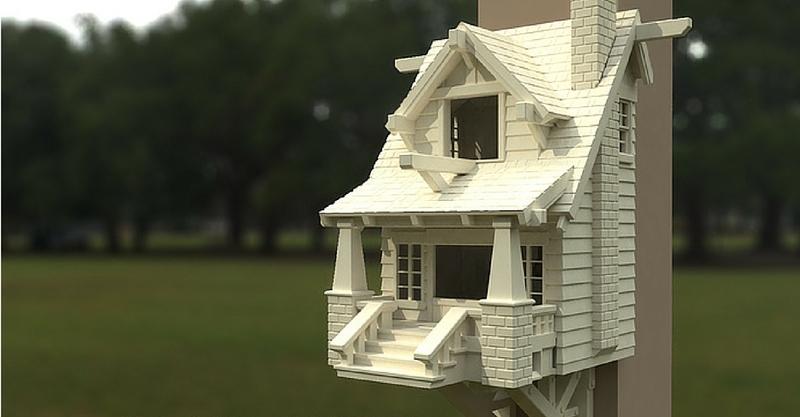 Winner of the Thingiverse birdhouse challenge, the beautiful 3D printed bungalow birdhouse. Designed by Brent J. Rosenburgh from Tacoma. 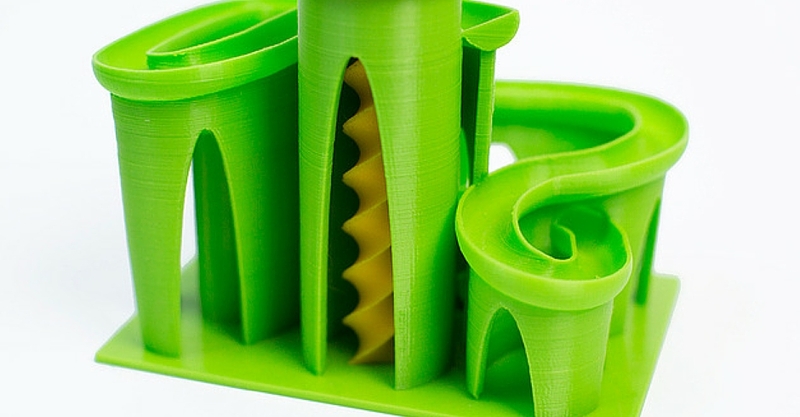 This 3d printing idea can be printed entirely without supports. You will be running your 3D printer for up to 50 hours to complete this model, and will use a large quantity of filament. When a design looks this good though, and has a real world practical application, its definitely worth going for. You can also feel good about yourself, knowing your 3D printer project is helping the wildlife. 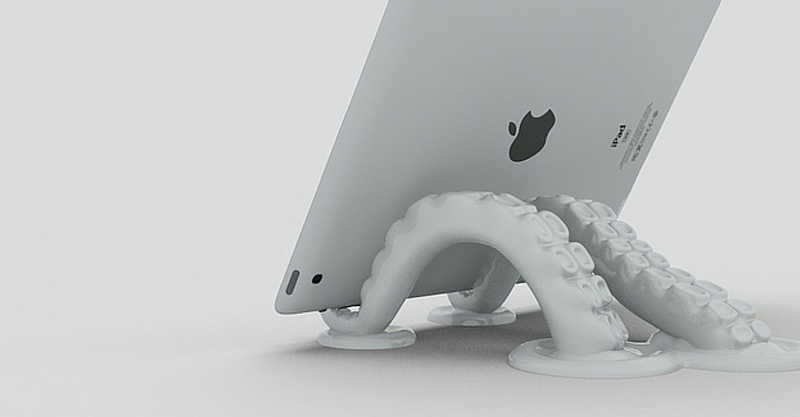 The last of my 3D printing ideas, the 3D printed octopus tablet stand, designed by Colin Payson from Toronto. Not quite as technical as the other 3D printing models on my list, but it’s simple to print, looks awesome and has a real world practical application. When you consider the price of an iPad stand from the Apple store, the octopus is actually pretty good value too. So as you can see, there are some excellent 3D printing ideas out there. The trouble is they can be difficult to find, with so many low quality 3D printing models now available. Hopefully my list will save you some time trying to discover these hidden gems. Are there any 3D printing ideas you think should be on my list?